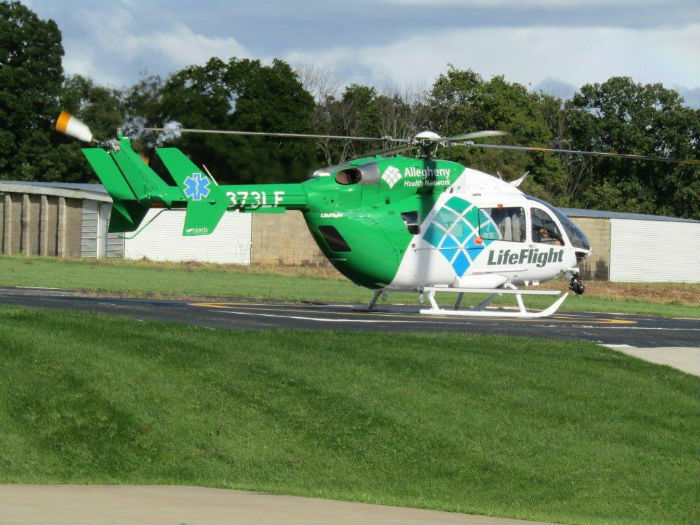 PAC International delivered a refurbished Airbus EC145 to Allegheny Health Network’s LifeFlight program. The aircraft interior components were completely refurbished to include reconditioning of the Metro EMS interior, ADS-B and WAAS upgrades, and an update with Allegheny Health Network’s corporate branding. The aircraft was also updated with the Outerlink IRIS flight tracking, monitoring and communication system. “This upgrade will allow tighter tracking of the aircraft and operational oversight by Metro’s Operational Control Center,” said Palafoutas. LifeFlight is an operations customer of Metro Aviation, PAC’s parent company, and provides regional emergency helicopter and critical care ground transportation services for critically ill and injured patients who need immediate specialized care. Since the late 1970’s, LifeFlight has completed more than 70,000 missions working side-by-side with EMS providers and community hospitals in a four-state area. PAC International’s capabilities include helicopter completion and customizations for Bell, Airbus, Agusta, Sikorsky, and MD Helicopters. They have established a reputation for providing state-of-the-art services in helicopter painting, custom interior fabrication, and avionics installations, and have a long history of providing customized medical interiors to meet the mission specific profile of their customers.